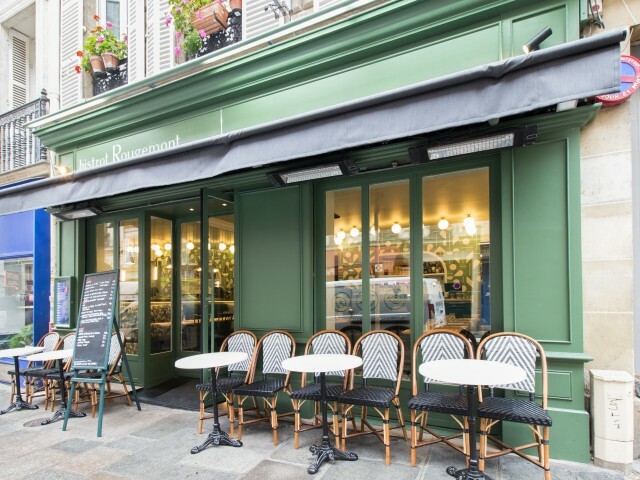 The bistro Rougemont, located at 10 rue Rougemont in the 9th arrondissement of Paris, offers a slate according to the products of the market. We are constantly looking for good producers to make you rediscover the French terroir. We collaborate with Olivier Brosset, our pork butcher and supplier of poultry and many cheeses (Cantal, Saint Nectaire, Bleu, Chèvre, ...) served on the plateau. We welcome you from Monday to Saturday for lunch and dinner. Online booking is highly recommended for evening service.